Kids sticker collection of iconographic clouds in one colour. Choose the size and the colour you want to decorate your children's room. Decorate any room in your home with a simple but effective graphic decal. 32 stickers with cloud icons. Choose the color you want and that contrasts with your wall and you can also place each sticker freely anywhere you want. 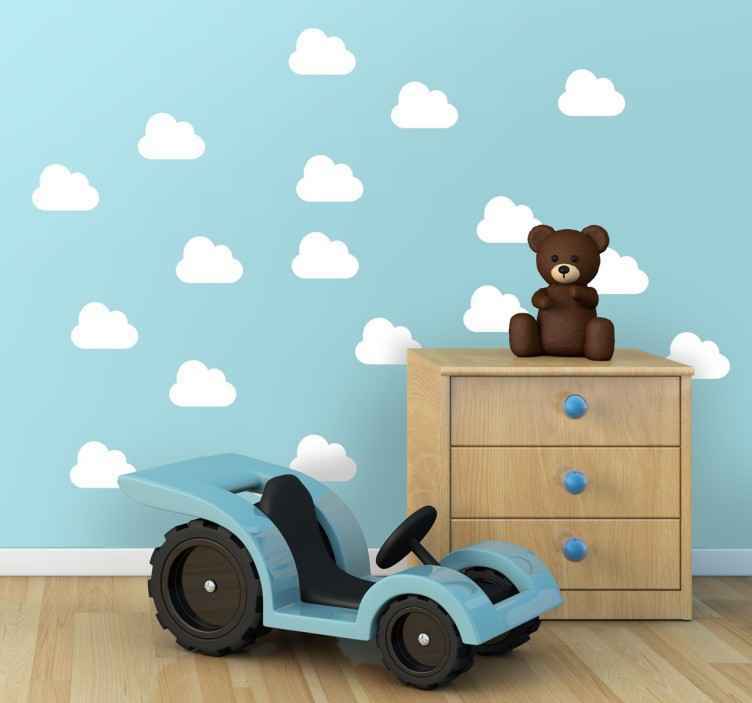 This cloud decal is designed for children's rooms, especially newborns. It will give a fresh and fun touch to the room you want to decorate. The size mentioned below is about the whole 32 stickers. The picture is just used as an idea of how it would look on your wall.